As the days get shorter while we move into the winter months, it is apparent that the older population of Essex, find it harder and harder to get about and live outside. It is important that they have access to an outside space as much as possible and we care about our older residents. 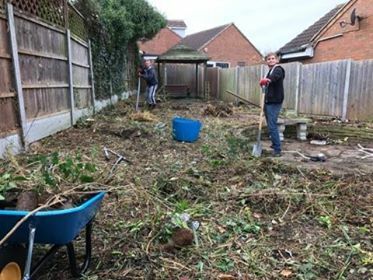 At the beginning of November 2017, we were called to address a garden in Canvey Island that hadn’t been looked after for years. It belonged to two elderly ladies that were unable to utilise their back garden throughout the winter months and we felt a sense of pride in providing an outside to enjoy throughout the year. Despite the small size, it took us all day to clear the garden and lay new turf for the elderly ladies to enjoy. 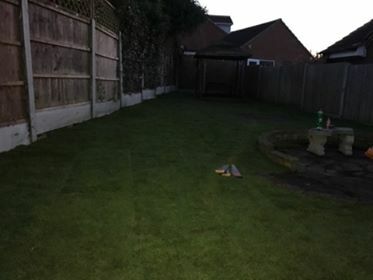 It was getting quite dark when we finally finished the garden and laid brand new turf that is now clearer and can easily be maintained. Both of the elderly ladies were very thankful for the job our team had done. If you need any help with your overgrown garden and want it to be clean and clear all year round with brand new turf, then contact Essex Garden Care today for a quote and advise on our services. We undertake a broad range of gardening based services for any domestic, commercial or industrial clients. Alternatively, if you have a specific query please complete our contact form and we will come back to you.